In the 21st century, Canada has staged a sonic assault on the rest of the world by providing a seemingly endless stream of unique, catchy bands. Well, I’m not sorry to say that Montreal’s Parlovr should be added to the ranks. Energetic and rambunctious, this group delivers dynamic rock songs with percussive twists. Their sound often settles somewhere between Wolf Parade and Menomena, rooted in sensible structures but not afraid to employ random shouting or jangly little noises in the background to fill in the space. While no track on Parlovr shows signs of weakness, there are a few definite highlights. “Pen to the Paper,” the LP’s opener, captures the struggle of writing and has a marked sincerity coming from a lyricist. “Hiccup!” is as quirky as its name indicates, beginning with melodic music and shouted vocals that soon smooth their way out to form. For those who like their indie rock in the vein of The Libertines, “Palace of Identical Things” provides that sort of technical proficiency with a rebellious spirit running beneath the surface. As though that weren’t enough, Parlovr even placed a hidden track at the end of the album, something that would be a shame for the music industry to lose in this digital age. 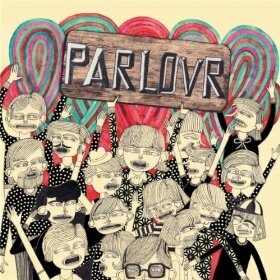 Parlovr is certainly an album to be consumed all the way through, preferably with caffeine in your veins.